The words often seem empty and hollow to me. I don’t want them to be. We have all seen it and many of us have done it. You see someone in a military uniform, you walk up to them and say, “I just wanted to say thank you for your service.” . . . Thank you. . . It can so easily slip out it almost becomes simple reflex. But can these two little words truly communicate the level of gratitude I feel toward those to whom I owe so great a debt. Last year my family took a spring vacation to Springfield, Illinois. We saw the Lincoln Museum and the capitol building. We even ate at the Cozy Dog. We ended the time in Springfield by visiting Lincoln’s tomb. We finished the tour and were ready to go when I took a small detour in the cemetery. 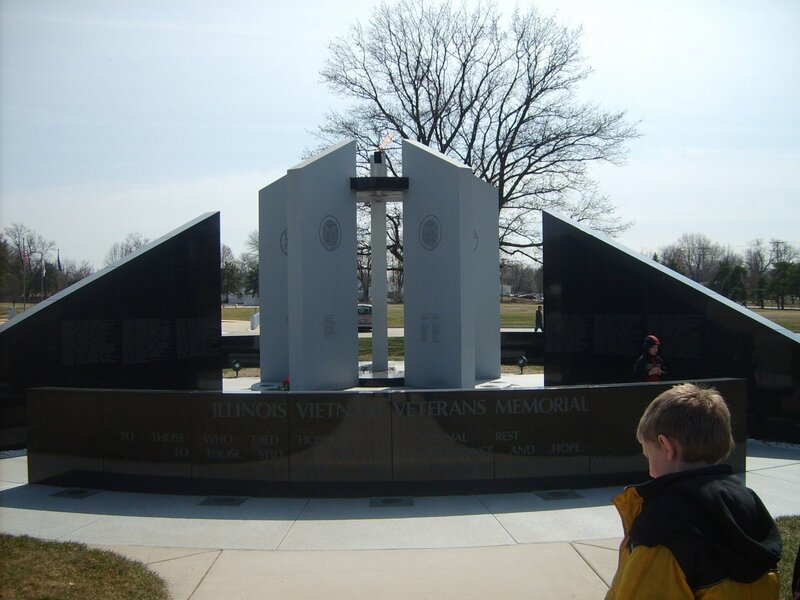 We went to the Veterans Memorials. 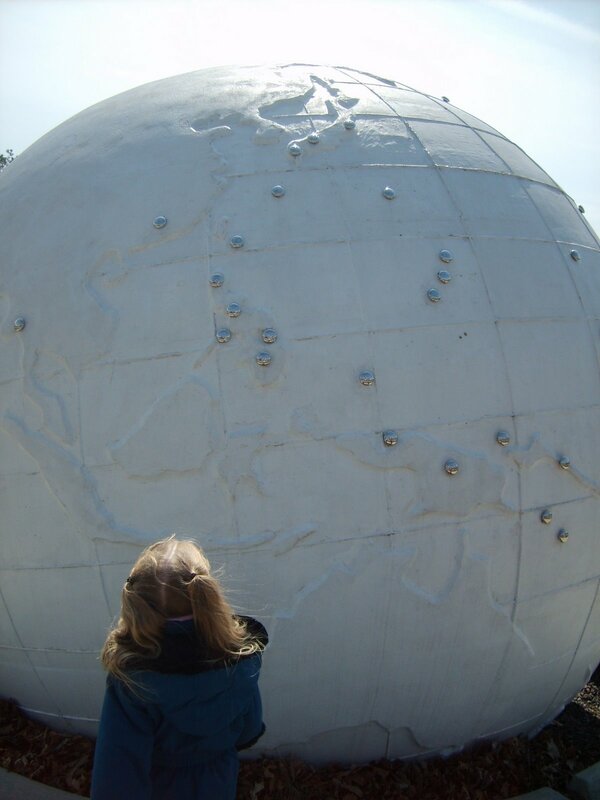 We walked around these monuments and I explained to my children what they meant. That these were here to remind us of what had happened and to ensure that we never forget. As I read and talked to them about the many men and women who had given their lives in service, I wondered if they could truly understand. I am sure the answer is no. I am pretty sure I don’t understand. 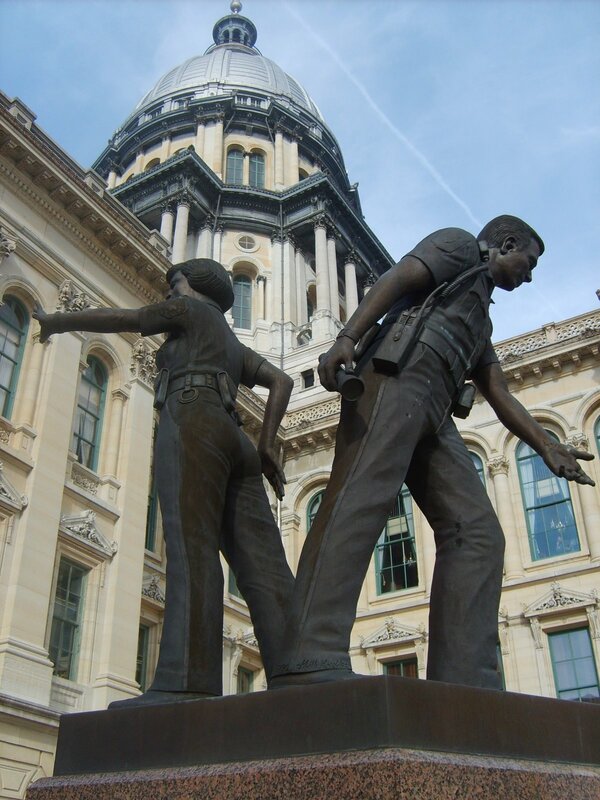 I should also mention that we had the privilege to visit the Illinois Fire Fighters Memorial and Police Memorial while visiting the capitol building. 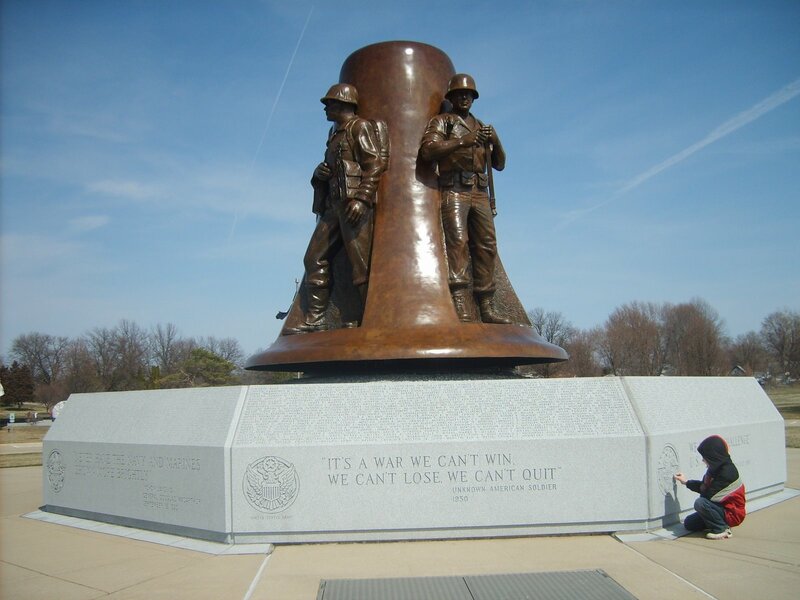 A reminder as well of the sacrifices made by these men and women in uniform. Tonight, as we were watching the National Memorial Day Concert my seven year old daughter asked, “Why did the people have to die?” How do you answer that. I explained that there are evil people in the world. And because of the evil, it is necessary for good people to stand up and fight back against the evil. I told her that sometime when fighting against evil, good people die. They give up their lives to do what is right. This seemed to answer the question for her, but I was left asking myself, “Why did the people have to die?” The answer worked for a seven year old, why not for me. 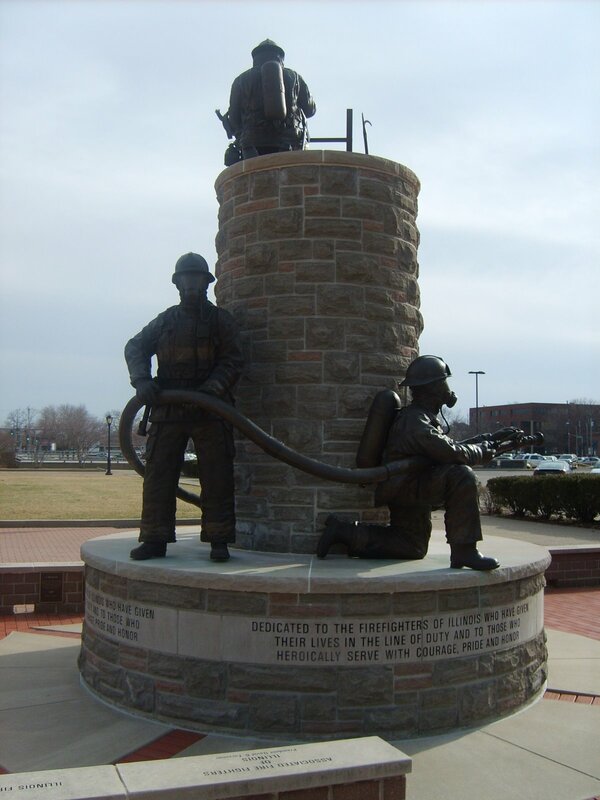 Tomorrow I will take my children to the Memorial Day ceremonies in town both at the city park and the cemetery. I know for them it often seems long and boring. But can I do any less. Not only to remember and honor those who have given so much, but to demonstrate for and teach my children the importance of doing so. Perhaps, Thank You isn’t so hollow. Perhaps it is simply the best that can be said when words are not enough. So to those who have served, to those who were injured, to those who gave their life. To all these and their families, I simply say . . . This entry was posted in Community and tagged me orial, military, sacrifice, service, soldeir on May 24, 2009 by Brian Olson.